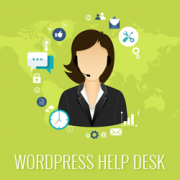 Are you looking for a WordPress help desk plugin for your site? Offering great customer support is essential for the success of any business. 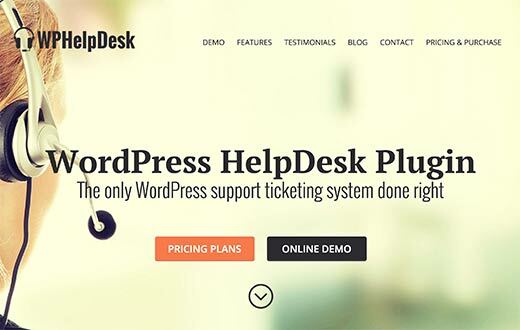 In this article, we have hand-picked the best WordPress support and help desk plugins. Our goal is to offer the most comprehensive list of solutions, so we will mention both third-party Help Desk software services that integrates with WordPress as well as showing you open-source WordPress support and ticketing plugins. Help Scout is one of the leading help desk and customer support software for online businesses. It is extremely easy to use, and there are already plugins that allow you to integrate it with your WordPress site. There is Help Scout Integration for Easy Digital Downloads and WooCommerce Help Scout plugins which allow your WordPress site to work with Help Scout. 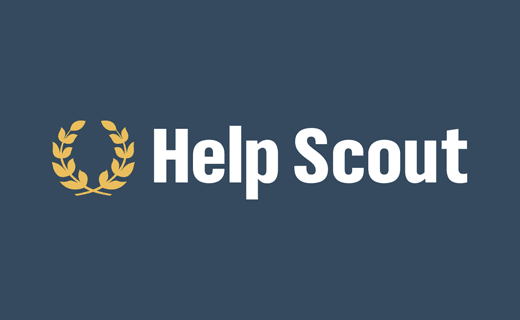 At WPBeginner, we are using Help Scout for our site and all of our premium WordPress plugins. 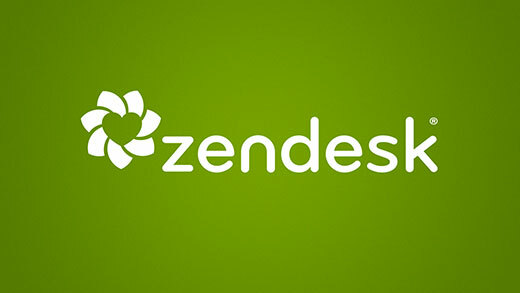 Zendesk is another popular customer support and ticket system for businesses. It supports teams, multiple products, docs, and works very well with WordPress based sites. 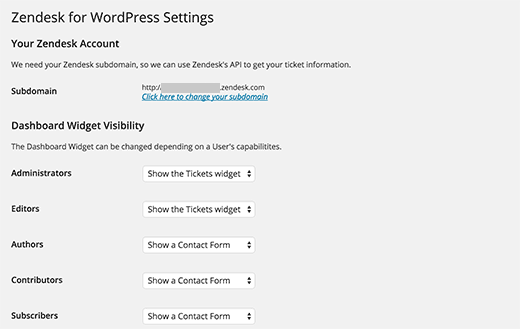 Zendesk for WordPress makes it possible to seamlessly integrate Zendesk customer support system into your WordPress site. It allows logged in users on your WordPress site to access the helpdesk without switching accounts. 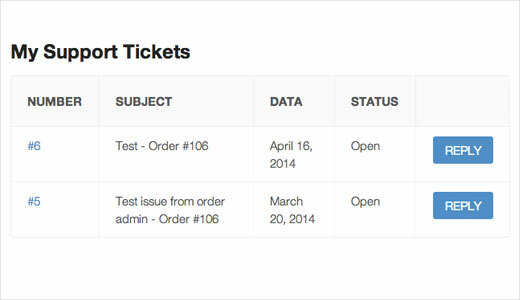 You can view your tickets in your WordPress dashboard. You can even convert comments into support tickets. The plugin also allows you to add Zendesk Dropbox tab to any page on your WordPress site. Awesome Support is an open source WordPress help desk plugin that runs entirely on your WordPress site. The basic plugin is available for free and is good enough to be used as a full fledged help desk system. You can extend the features using paid addons. It provides a ticketing system, email notifications, restricted access, file and media uploads. You can also add your own fields to extend the ticket forms using custom fields. WPHelpDesk is a premium WordPress help desk plugin. It runs on your own WordPress site, allowing you full control over your support system. It integrates seamlessly into your WordPress site and can be used with any WordPress theme. You get unlimited agents, email notifications, ticketing system, file and media uploads and custom fields. The plugin website has a demo where you can test both the back-end and front-end of the software. WP Support Plus is a free plugin to add customer support section on your WordPress site. It allows users to create tickets, choose category, status, and priority for tickets. Apart from agents, it comes with a supervisor user role as well. The plugin uses Ajax which makes ticket submission and customer support easier and faster. Translations are available for more than a dozen languages. It also allows you to add a support tab to be displayed on all your WordPress pages and posts. Users can click on the tab to select the support channel or open a ticket. 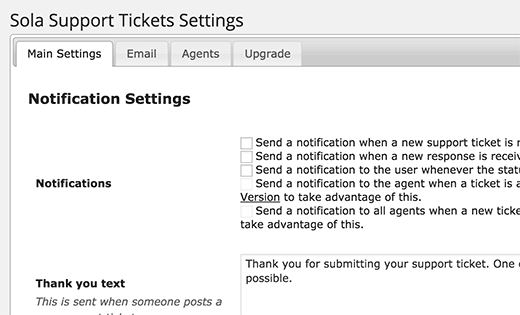 Another good way to add a customer support system in WordPress is by using Sola Support Tickets plugin. 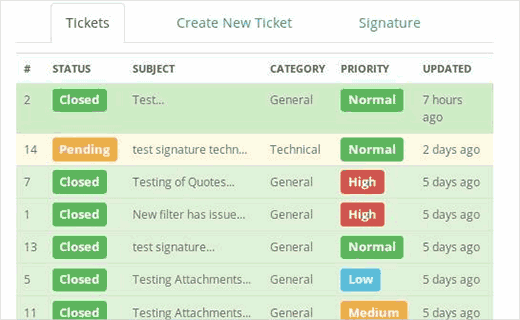 This free plugin adds a full-fledged ticketing system with all the bells and whistles that you would need to run an efficient support system. The free plugin only comes with one support agent, so you will need to purchase the paid add-on to get full advantage of the plugin. bbPress is a lightweight forum software made for WordPress. It is efficiently used by some WordPress companies as their customer support forum. If you do decide to use bbPress for customer support, then you will need to set up several additional plugins to install. However, with built-in notifications, easy extendibility, and plenty of add-on plugins make bbPress a viable contender to be considered for a support forum. 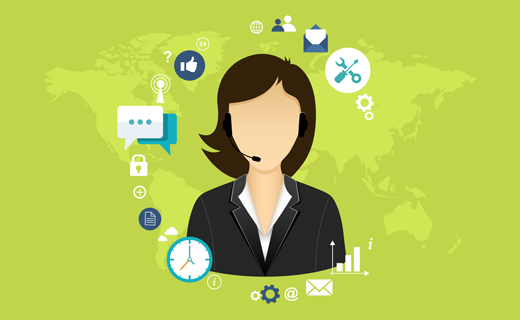 We hope this article helped you find the best WordPress help desk plugin for customer support. You may also want to checkout our guide on how to add a wiki knowledge base in WordPress and our list of the best live chat support software for WordPress. Is there any plugin for keeping record of how many test cases a tester created in how many hours to keep a track of Offshore team work? can any of these plugins be limited to be used just by certain members i.e. admin/contributors etc? Do any of those have the capability to limit the number of support requests they can send per month depending on their membership level? frontend requests in a business directory WordPress website? Can you please share with us the URL to download WATS? I have tried all the other ones specified here and none of them fits my requirements. I am interested in using bbPress. However, I am unsure what plugins you are referring to that I would need to make it into a “customer support forum”. Can you elaborate? Depending on how you want to manage your customer support forum, you would need plugins for lets say canned replies, mark topics as resolved, topic lock and so on. It will become clearer as you use the forum and then you can search for plugins. Many of them are available for free. WP Ticket plugin wasn’t mentioned in this article, it has both a free version in wordpress.org and premium editions with extra features such as charts and statistics. Thank you for the mention! 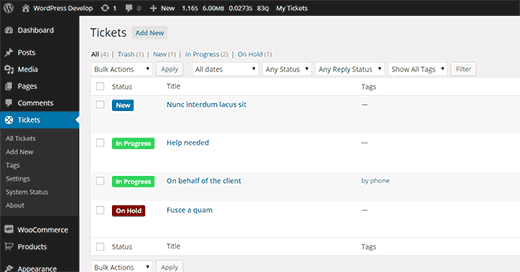 We are really trying to make Sola Support Tickets a feature rich WordPress support desk plugin. Any comments and/or suggestions would be great. Is there a simple way to program a form on the admin side of the website where users can fill in for support questions / assistance? For example, either have a contact form on the admin home page with a widget or a separate area where users can fill in required fields to contact support. If plugin is better, I’ll go that route. I use Zendesk, and I would personally recommend it to small/big businesses.